I am really excited to share with you two products that Lakeshore is currently showcasing among a sea of many incredible products. The first one (pictured below) is called the Magnetic Counting Maze. Basically, students need to pull as many gumballs (magnetic balls) into each gumball machine according to the number on it. This is a great activity for improving and strengthening fine motor skills, number recognition AND 1:1 correspondence. The most enticing attribute of this product is the amazing concentration that it takes for students to complete the task! Even your most excitable student will find this activity to be calming, yet fun at the same time. This product is perfect for the student who hasn't quite solidified their learning of numbers through ten, as well as for the student who needs to strengthen his/her hand muscles. This is always a go to activity in the classroom with a quick-check visual for the teacher to note how each child does with his/her 1:1 number correspondence. This next product, called Pop and Win Letter Writing Games, is a new product that is a very fun way for learners to practice writing and identifying their uppercase letters. I have never met a child who doesn't love to "pop" these poppers that encase the die so they can't get away! Instead of just writing letters during handwriting time, students can pop, then write, making it more like a game than work. As my students move beyond uppercase letters, I will have them write the lower case letter that matches whichever letter that "pops" up. You could also use these poppers for additional phonemic awareness centers as well. An example would be for students to name words that begin or end with the letter that pops up. My students always look forward to any activity that involve using the poppers and can't wait for their chance to "pop". Lakeshore has so kindly offered to give a Mrs. Miner's Monkey Business fan a $25 gift card to their store/catalogue for any back to school purchase you make. AND like Lakeshore on Facebook (if you are on FB, that is). Be sure to leave your email address in a comment below once you have followed my blog and liked Lakeshore on Facebook. This contest will end on August 9th, 2012 at midnight EST. Winner will be announced in this same post AND via email and has 24 hours to claim their prize before another name is chosen. I follow you and Lakeshore on fb. I follow you through Google Reader and I follow lakeshore on FB! I follow your blog & Lakeshore on facebook. Yay! I follow you on FB and Lakeshore on FB! I follow your blog and lakeshore on facebook! I follow you and Lakeshore! I am following both you and Lakeshore on FB. I follow your blog and I like lakeshore on FB! I have followed you on google reader for quite some time and I also "like" Lakeshore on Facebook (and "love" in life off the internet!). Thanks for the opportunity! I follow your Blog and Lakeshore. I would love to win the gift card from Lakeshore. I teach 2's in a Christian Preschool. Our budget is so tiny if I win I would be able to share with the other 3 teachers!! I follow you and Lakeshore on FB. I also follow your blog. I actually have the first item shown and it is GREAT. Oops, I didn't type correct email above so scratch that post. Thanks again for the giveaway. I follow you and like Lakeshore. Check and check! Back to work in 13 days!! Those are really neat new products! I love Lakeshore!!! I follow you and I like Lakeshore on facebook!! I follow you both! :) amymcelveen@yahoo.com I hope I win! Thanks for the great giveaway. Who can't use $25 of Lakeshore goodies in their classroom? I follow your blog and Lakeshore on FB! Love it! Done and done! Yep, I follow both! Thank you!!! I follow you both! Thanks! I follow your blog and I like Lakeshore on fb. I love your blog and Lakeshore too! I follow your blog and like Lakeshore on fb. I love those pop and win games! The kids would love them!! I follow your blog and like lakeshore on facebook.I would love a lakeshore giftcard because it is my first year teaching Kindergarten!! follow you and Lakeshore. You were the very first blog I followed :) - what an addiction I now have! Bless you! I can always spend money at lakeshore! I am a follower and have liked lakeshore on fb! I would love to win this! I followed all your rules. I follow you already and i just liked Lakeshore on FB. Love the featured products! I follow you and Lakeshore on FB! Thanks for the chance to win!! I follow your blog and liked Lakeshore on FB (at least I think I did, since I am a new member to FB-hope I did it right.) ANYHOO, love your blog. I follow your blog and liked Lakeshore on FB! Thanks for offering this great giveaway! I am now following your blog and I've liked Lakeshore on FB for awhile now. I love the Lakeshore store in Dallas! I am also one of your followers on Google reader. I'm one of your followers. And I like Lakeshore on FB. Thank you for the giveaway. I follow your blog and Lakeshore on FB!! Thanks for the chance to win. I love your blog and follow Lakeshore on FB. I follow your blog and Lakeshore on FB. I follow you and Lakeshore. I follow your blog and love Lakeshore! I like them on FB too. I love Lakeshore so much, I even teach at a school called Lakeshore Elementary! How's that for fandom!! lol! Love all of your great ideas and have been following you for quite awhile. Love Lakeshore to and follow them on FB. I would love to win! I need classroom resources! I follow your blog and like Lakeshore on FB. I follow your blog and on FB I follow you and lakeshore. I am following your blog and I liked Lakeshore on Facebook too. I follow your blog and liked lakeshore on FB. I already liked you on FB!! I'm following you and Lakeshore! I love your TPT products too! A Lakeshore card always comes in handy at this time of year. I follow both! That magnetic counting maze looks awesome! I follow your blog (faithfully) and liked both you and Lakeshore on FB. Thank you. I follow your blog and like Lakeshore on FB!! Thank you! I follow your blog and like Lakeshore Learning on facebook! Thanks for making it to easy to enter! I follow your blog and like lakeshore learning on fb!! I follow your blog and like Lakeshore on FB. It is my favorite educational store. I follow your blog and liked Lakeshore on Facebook! I follow your blog and liked Lakeshore on FB! I follow you and Lakeshore and love you both!! I follow your blog and have liked Lakeshore on facebook. I follow your blog, and I like Lakeshore on Facebook. I follow both! And I was just at Lakeshore today preparing for my pre-k class! I love the promethean board interactive software. I would totally use that gift card to buy some more for my class. Have you seen this stuff? I follow you and Lakeshore everywhere! Now following both you and Lakeshore. I follow you and like lakeshore on facebook. Thanks for the chance! I'm hoping I win!! I follow your blog & follow Lakeshore on FB!! I follow you and lakeshore on facebook. I follow you and Lakeshore on Facebook! I follow you and FB. I follow your blog and Lakeshore on Facebook. I am not a blogger (yet) but I do love YOUR blog! I have followed the instructions and now I am crossing my fingers! Hi! I follow your blog and I "love" Lakeshore. They have so many wonderful products. I "like" Lakeshore on their Facebook page. Have a great night!! I did both and would love to win! I'm a loyal follower and I added Lakeshore to my lists of likes on Facebook. I follow your blog and Lakshore on FB. Thanks for the opportunity. Love Lakeshore. Love Mrs. Miner!! Follow your blog and like you both on FB! I may have to have one of the counting mazes regardless! Thanks! I follow your blog and follow Lakeshore on FB. I follow you and Lakeshore on Facebook, and I think I figured out how to follow your blog now. I usually link to your posts from Facebook. Love Lakeshore...wish they had a store here in Hawaii. I also love your ideas. Hope you have a great school year. I follow your blog and lakeshore. Already spent a good chunk of change at lakeshore today but there is plenty more I could get if I win this. I follow your blog and like Lakeshore on FB! Love their products! I follow your blog and like Lakeshore on Facebook. I follow you and I 'like' Lakeshore! I follow you, and Liked Lakeshore, always spend way too much there! i follow you and liked lakeshore on FB! I follow your blog and like(love) Lakeshore on FB. I follow you on google reader/fb and lakeshore too! I follow your blog and Lakeshore!! These are fabulous for fine motor practice! Thanks for sharing! We follow both you and Lakeshore! I follow your blog and liked Lakeshore on Facebook. I follow your blog and I love Lakeshore! Thank you for sharing. I'm a follower of you and lakeshore! Yay!! So exciting. I follow your blog and definitely like Lakeshore on FB. I follow your wonderful blog and I liked Lakeshore on FB. Woot woot!! I follow you and LOVE Lakeshore on FB! I follow you via google and Lakeshore on FB. I follow your blog and I like Lakeshore on facebook. I follow your blog and love Lakeshore products! I follow your blog and liked Lakeshore on FB. Thanks! I follow you and Lakeshore!! !Love both! I follow your blog; I do not have a Facebook account. Sorry! I do love your blog. Hi! I love this blog and check it out every day. Thanks for all your hard work and willingness to share. My e-mail is: klessens57@aol.com. WOW....LOVE LOVE LOVE that gumball game!! and I KNOW I'm going to have some kinders it would be perfect for this year!!!! I have been following you for awhile and of course already Liked Lakeshore! I follow your blog & I like Lakeshore on Facebook. I have been a blog follower for quite some time now! And I do not like Lakeshore... I LOVE it! I have been in love with it since Day 1 of my teaching career, which was 8 yrs ago! I started following your blog this summer and love it. I will be teaching K this year after teaching either 4th or 2nd the past few years. I also love Lakeshore and getting ready for my annual trip there later this week. Thank you for the chance to win! I now like lakeshore on fb, and I follow you through liking on fb. :) But for this, I did connect with google. hee. Thanks again!! I follow you and lakeshore!! Thanks for all the work you do! I look forward to your posts. And Lakeshore rocks! I'm a long-time follower of your blog and I liked Lakeshore's Facebook page. Thanks for the giveaway! I have been following your blog and Lakeshore for a while now. Love you both! Thank you! I follow your blog and like Lakshore on FB. Thank you for offering this terrific giveaway! Thanks for the chance to win! 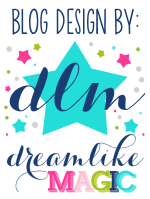 Love your blog you always have fantastic ideas, would love to be a student in your class! I have seen the bubble gum game and it looked awesome would love to have one of my own! The pop up game sounds wonderful too. I follow you and like Lakeshore! Thanks so much for hosting the give away. I follow both. I follow you and Lakeshore. Thank you for the opportunity! I follow you on fb and your blog. Great contest!